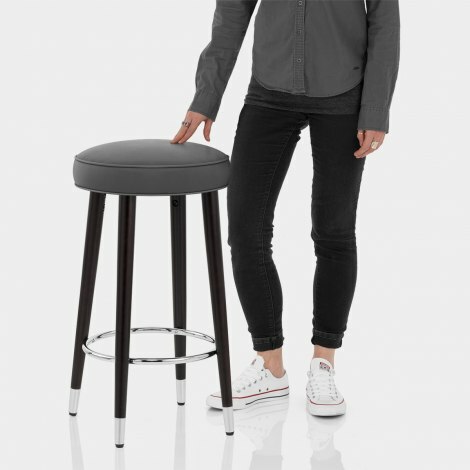 The Conrad Bar Stool Grey Leather is a classic design with a sophisticated upmarket look that is guaranteed to leave a lasting impression. A fine fusion of old and new, the Conrad will create a style statement at your kitchen island or breakfast bar. 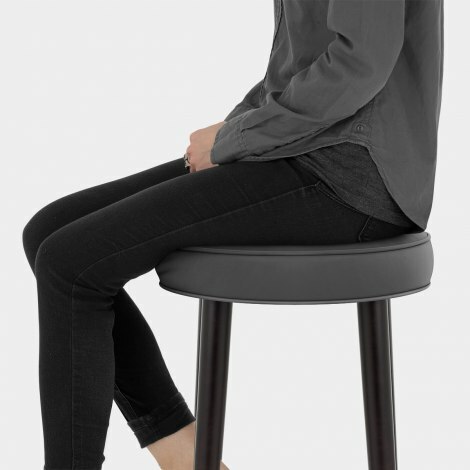 In grey bonded real leather, the round seat is backless yet bountiful with its dense foam filling. This item offers both comfort and compact storage in one luxurious seat design. Solid wooden legs form the fixed height frame and have a sophisticated dark wenge finish. In contrast with the tapered legs, the circular chrome footrest and chrome tips add modern flair, whilst protective floor plugs are a practical feature.